On January 29th 2006, Bob Woodruff was covering the war in Iraq for ABC World News. Bob and cameraman Doug Vogt were embedded with the 4th Infantry Division near Taji. They were standing with their heads above the hatch of an armored personnel carrier when an improvised explosive device was detonated. Despite wearing wearing body armor and protective helmets, they both received serious shrapnel wounds. Bob suffered traumatic brain injury and was not expected to survive. After emergency surgery at the US Air Force hospital in Balad, he was transferred to Landstuhl Medical Center in Germany and then on to Bethesda Naval Hospital. He was kept in a medically induced coma for 36 days and slowly began to recover. On February 27, 2007 he made a return to television, appearing on Good Morning America and ABC World News. He also produced a documentary “To Iraq and Back: Bob Woodruff Reports”. 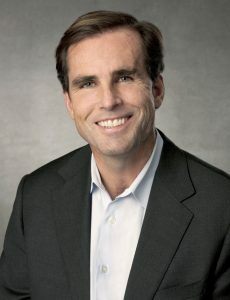 His experiences led Bob and his wife Lee to establish the Bob Woodruff Foundation. The Foundation works to ensure that injured veterans and their families are thriving long after they return home. This past year the Bob Woodruff Foundation donated more than $5 million to causes and organizations supporting veterans.